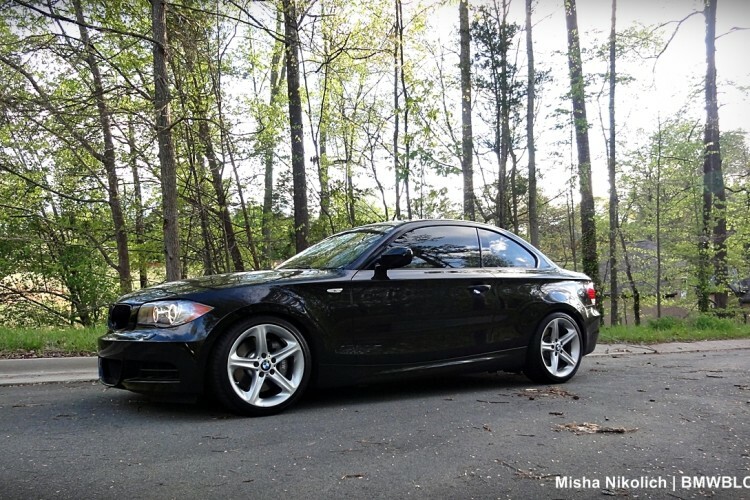 With a compact coupe body, rear drive, 50/50 weight distribution, and powerful engine, the BMW 135i Coupe is “pure BMW.” I had my sights set on the 135i Coupe when BMW announced it was coming to the States in 2007. My first thoughts were: this is exciting, the BMW enthusiasts will probably love this car, and I want to drive one. The E82 1 Series Coupe was inspired by the iconic 2002 coupe. The 2002 put BMW on the map in North America nearly 40 years ago. BMW built versions of the 2002 for 17 years – a lot longer than the current 6-7 year model cycle. The 2002 still has cult following today and is responsible for getting a group of BMW purists to start the world’s largest owner-supported car club – The BMW Car Club of America. 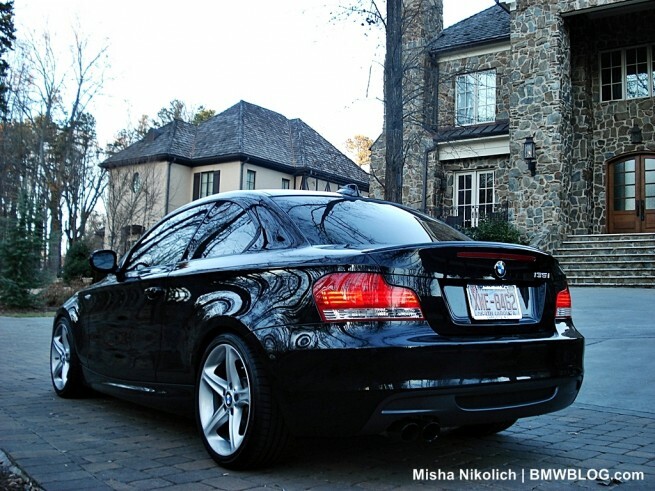 I’ve been a member since 2008 – shortly after BMW launched the 2002 successor in the US – Year one of the 1. In my opinion, and I think other enthusiasts will agree, cars often times express who we are as a person. 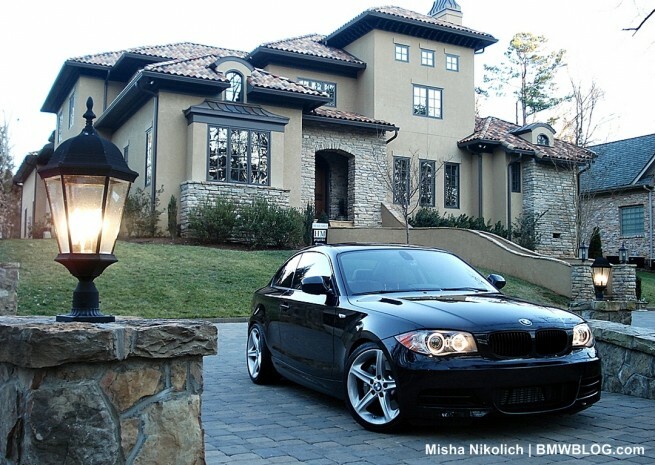 At the end of the day, they are a tool, but BMW makes cars that owners become emotionally attached to. 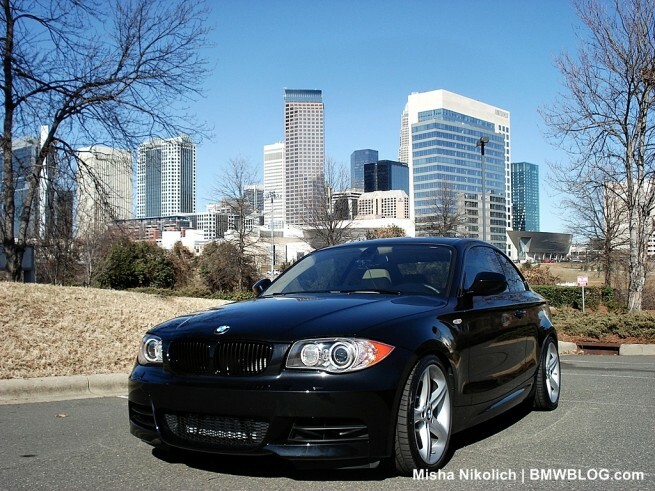 The 135i Coupe is a wonderful street car representing BMW’s core values. 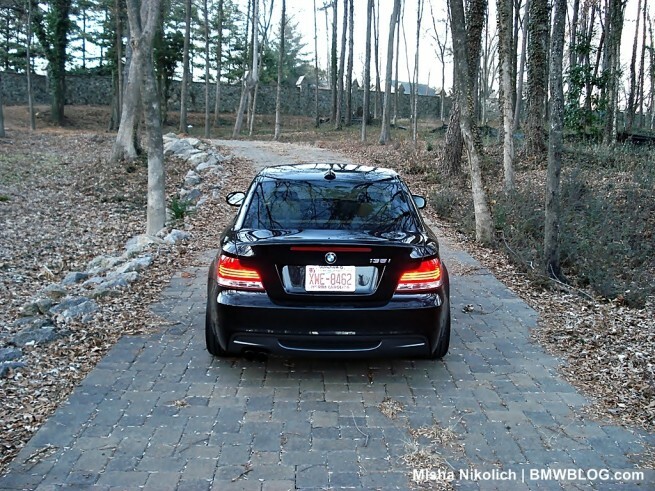 Most of the time, I drove alone in my E90 328i, and the back seat was rarely utilized. I enjoyed owning the car, but sold it in 2010 for something a little sportier. The 1er Coupe had all the attributes I was looking for in a daily driver; affordability, dynamic performance and handling, comfort, sporty sophisticated styling, safety, dependability, and efficiency. The first time I saw a 135i Coupe on the road it instantly caught my eye. Neatly dressed in Jet Black, it passed by me as the sun was setting, and the sporty stance and distinctive horizontal led light bars in the tail lights left an imprint in my memory. 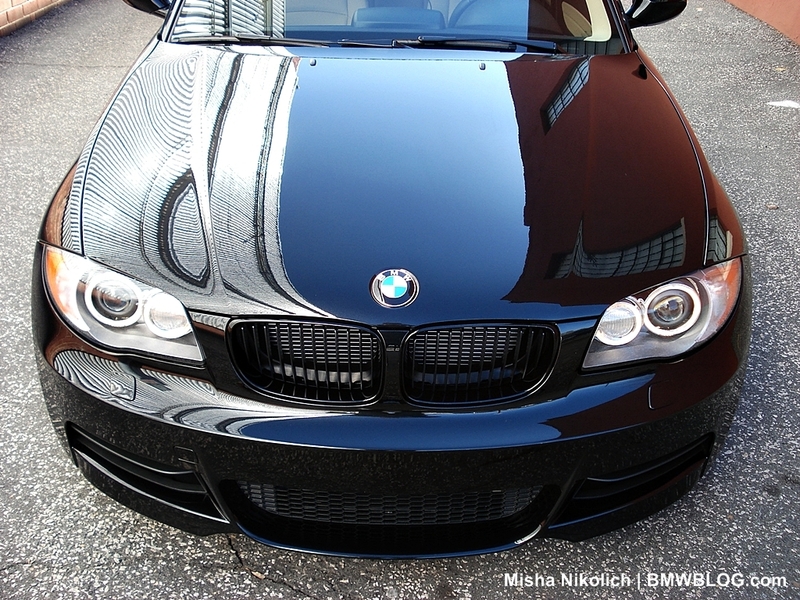 Black has always had a way of making certain cars look sophisticated and classy, yet sporty. And they are pretty easy to keep clean in the Southeast climate – as long as you don’t park under a pine during Spring when pollen dust is in full force. 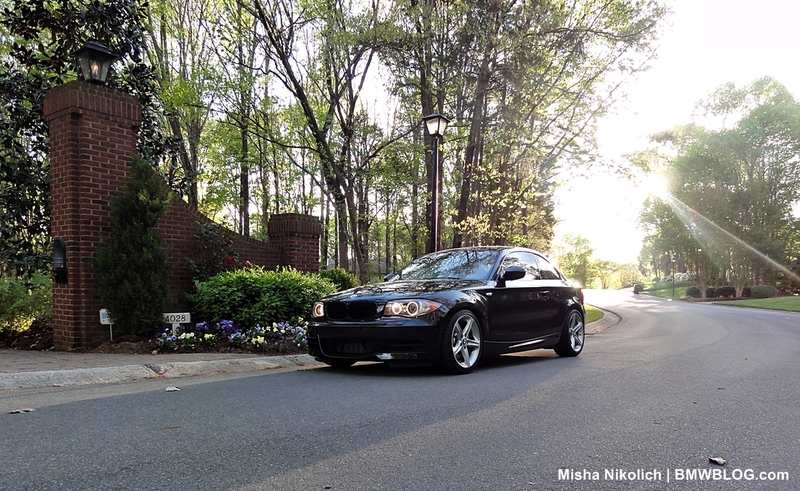 In December 2010 I took delivery of a new 135i Coupe from Hendrick BMW in Charlotte, NC. The car came equipped with DCT, Black Sapphire Metallic over Savanna Beige leather, Light Burl Walnut trim, iDrive navigation, heated front seats, M-Sport steering wheel, Sport Package, and Premium Package. The purpose of this review? I simply wanted to share my unbiased impressions of the 135i Coupe after 2500 miles on the odometer. Engines have long been the heart of Bayerische Motoren Werke. It doesn’t take a lot of seat time to figure out that the 135i Coupe moves you – fast. 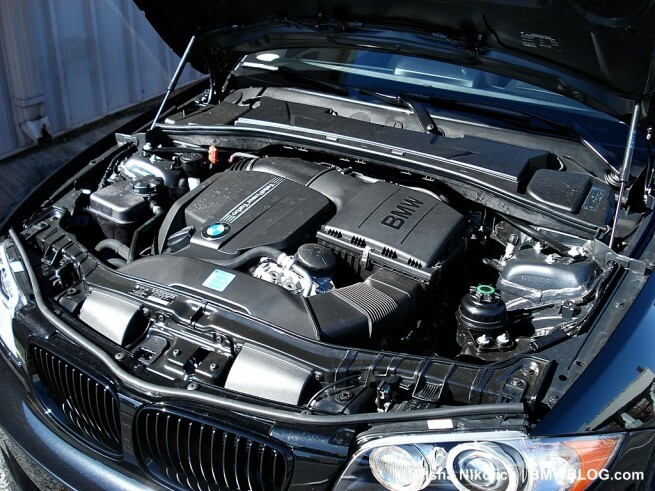 As part of the BMW Efficient Dynamics program, for 2010, BMW dropped the award winning 3.0-liter inline six-cylinder twin-turbocharged engine (N54) and 6-speed ZF Steptronic transmission. All 135i Coupe and Convertible models are now equipped with a 3.0-liter inline six-cylinder TwinPower turbocharged engine (N55) and come standard with a 6-speed manual transmission. The 7-speed dual clutch transmission (DCT) sourced from The Z4 sDrive35is is optional for $450. Engineers were able to improve throttle response and fuel efficiency by incorporating technologies such as a twin-scroll turbocharger housing, double-VANOS “steplessly” variable valve timing, and direct fuel injection. The N55 has smooth linear power delivery in any gear with undetectable turbo lag, and it’s relatively easy on the petrol when coupled with the dual-clutch transmission. My average combined fuel economy, which includes mostly suburban city driving, has been around 18 mpg since taking delivery in late December 2010 – right in line with BMW’s estimates on the window sticker. With 300 hp at 5,800 rpm and 300 lb ft, the 135i rockets you from 0-60mph in 5.0 seconds. I have a hunch it may actually be a few tenths quicker, thanks to the DCT. The 135i produces about the same torque as the current M3, but while the high revving V8 peaks at 3900 rpm, the turbocharged I6 makes it available all the way down from 1,200 rpm through 5,000 rpm. I prefer keeping the sport mode on all the time. It sharpens the throttle response and gear changes are quicker to my liking. If sport mode is off, shifts are almost too smooth, and I sense slight turbo lag in lower gears. I have noticed the power drops slightly after 5500 rpm, but it doesn’t matter because there is so much low and mid range torque. It is very easy to break the tires loose, even with full traction control on. Gear ratios are well matched to the engine output in manual and automatic mode. The N54 equipped 135i I drove in 2009 sounded a little more muted than the N55 in my car. I often find myself rolling down the windows or keeping the sunroof open so I can listen to the deep growl of the engine and sport tuned exhaust. My love affair with the 135i Coupe with DCT started in the Summer of 2010 when I had the opportunity to take the car for some hot laps around the Performance Driving School track in Spartanburg, SC. The 1 Series shares roughly 60 percent of its parts with the 3 Series. Most notably, the MacPherson aluminum double-pivot front, and fully independent five-link lightweight steel rear suspension – which was massaged a bit by the gurus at BMW M division. The first thing I noticed was the handling like it was on rails, also the chassis was rigid as you would expect from a sporty modern BMW coupe. The speed sensitive electro-hydraulic steering is nicely weighted and precise with great feedback during any driving scenario. The suspension tuning makes the ride compliant and highly responsive with incredible roadholding. It feels stable and flat coming out of corners with very little body roll and flex. Criticisms about understeer are overhyped, unless you’re doing heavy track driving or autocrossing. There is mild understeer dialed in if you push it past its limits. Most owners will never get close to these limits with regular street driving. However, if you completely disable traction control, this little coupe can easily get sideways unleashing havoc on the pavement with oversteer. The factory supplied low profile Bridgstone Potenza run-flat tires (215/40 front, and 245/35 rear) can sometimes make you feel like the car is skipping over road bumps, a feeling experienced also in my 328i; they get noisy after about 10,000 miles. However, the stiffer sidewall gives you more lateral grip and good steering input while safely blazing around the off ramp, or during a sprited back road drive. I’ve scratched my head trying to figure out why BMW didn’t opt for a wider 225/255 tire combination like the 3 Series Coupe brother. The Brembo sourced 6-piston fixed front calipers clamp 13.3 inch disks; rear has 2-piston calipers with 12.8 inch disks and they can stop the 3450lb coupe with ease in any driving condition crunching your stomach at the same time if you really lay your foot down. Brake pedal feedback is firm and linear and the system does not fade after a full day of work. 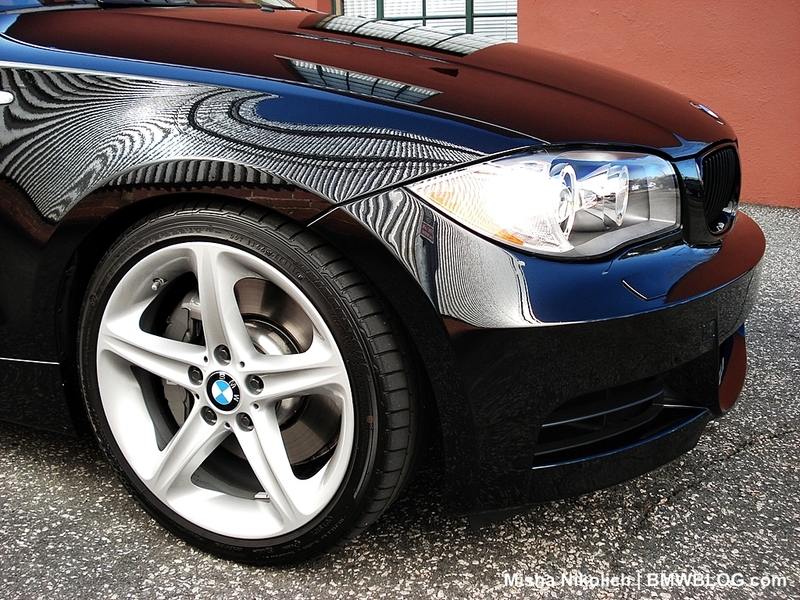 The grey painted calipers add to the sporty character and white lettered BMW logos are a nice finishing touch. The corrosion resistant paint makes them easy to clean and looking like new. Dynamic Stability Control and Dynamic Traction Control coupled with an electronic limited-slip differential keep all these components in check and make me feel confident maneuvering the car in virtually any driving condition (disclaimer: I have not driven the 135i in snow). Overall the ride quality is a nice mix of comfort and firmness, offering the best of both worlds for everyday driving. You should see what the skilled instructors at the Performance Driving Track can do with a stock 135i! Just walking up to my car in the parking garage after a long day of work gives me a smile – it sort of looks fast just standing still. I’ll admit, it took me a little while to really warm up to the styling of the 1 Series Coupe. I found myself drawn more to the elegant, mature looking 3 Series. 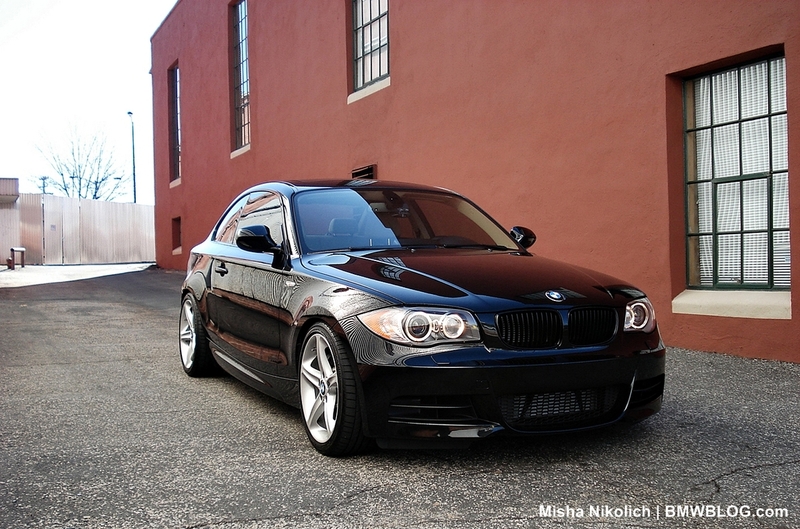 But I’ve grown to appreciate the 1 Series progressive athletic design. 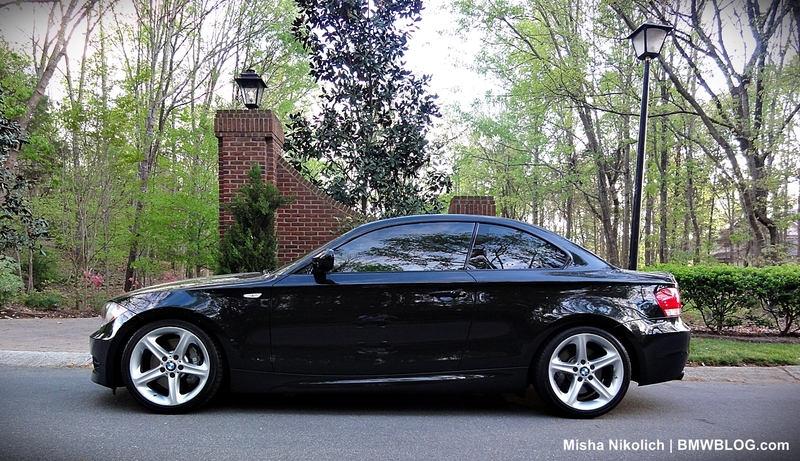 5 and 6 inches shorter than the slightly lower, sleeker 3 Series Coupe (E92). The short overhangs and proportions emphasize the rear wheel drive platform. A strong horizontal character line starts high up on the front fender behind the headlight and runs along the entire length of the car concluding in the rear above the tail lamp giving the car a sense of forward motion and elegance. I really like the shape of the Hofmeister Kink and how the C-pillar is sculpted into the rear shoulder flowing into the raised E46 M3 CSL’esque boot lid with integrated lip spoiler which was added for additional downforce. I’ve had a chance to follow the car while my wife was driving and it looks beautiful in action with a nice wide sporty stance from the rear. The eighteen-inch style 264 five-spoke wheels suit the car well and are slightly concave which compliment the overall design theme of the sculpted body. The 135i comes standard in M-guise aerodynamics package giving you a sportier front bumper with three large intakes and vertical vanes on the outside inlets that feed air to the intercooler, oil cooler, and brakes. The rear is finished with dark grey plastic diffuser that surrounds the black chrome exhaust tips. 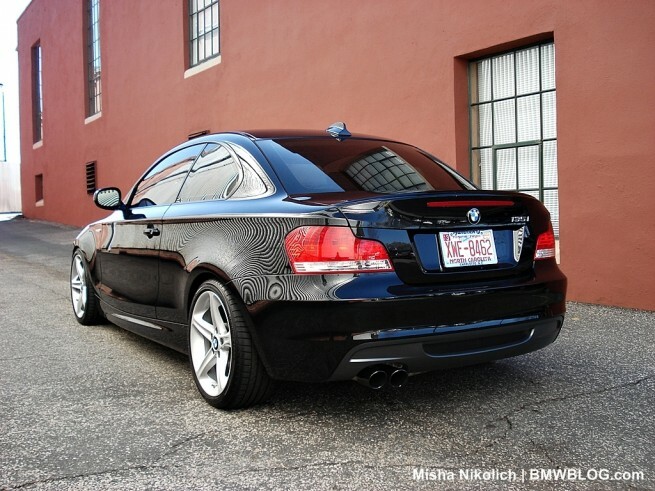 I typically see a lot more 3 Series on the road so the 1er tends to stand out in the pack. 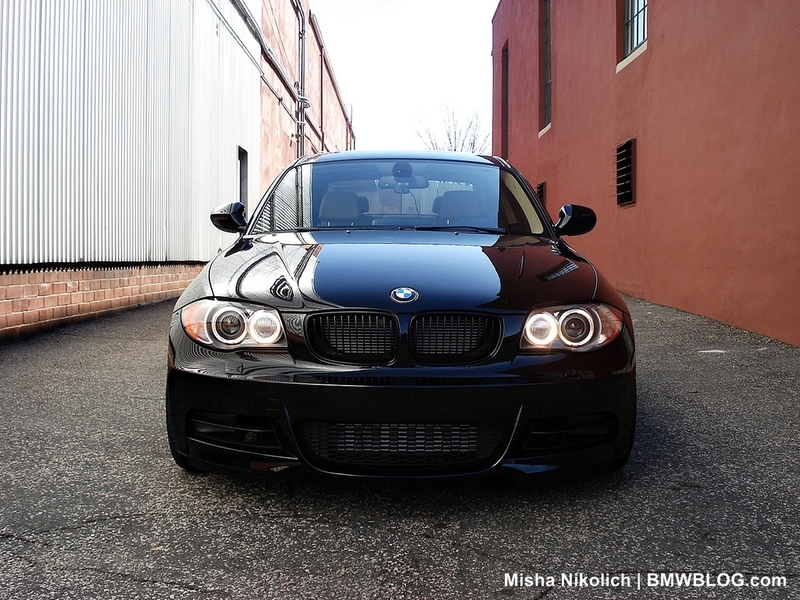 A few nitpicks though – I can’t grow to love the wide-eyed front head lamps and sagging doors or side skirts. I prefer the angrier-looking 3 Series front-end. The headlamp cluster was slightly revised for 2012 models and now has a ubiquitous eye brow to give it a more focused look down the road. 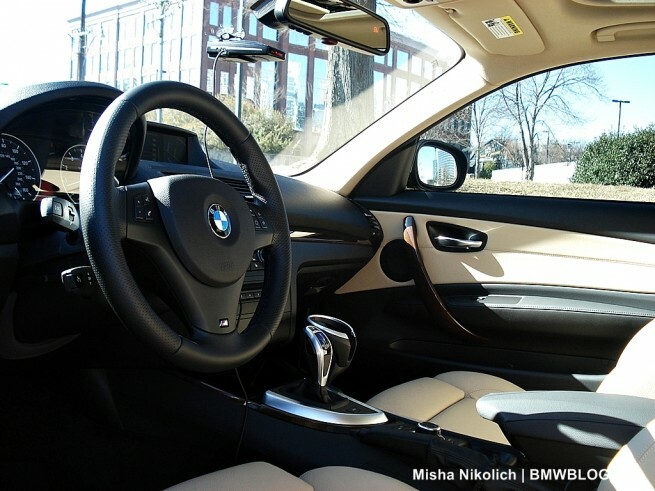 My favorite interior features are the thick leather wrapped M Sport steering wheel, gauge pod layout, and driver oriented center stack. The proper left down, right up steering wheel mounted paddles come in handy when doing spirited driving.The seating position is comfortable for drivers of all sizes and the greenhouse is open and airy, giving me great visibility in all directions. The top of the door panel is just about parallel with my left shoulder. The 1er Coupe has slightly less head and shoulder room than the 3 Series, but it’s barely noticeable. I’m 6’2” athletic build, and fit very comfortably in the supportive leather trimmed sport seat – they are some of the best in the business. The light burl wood trim shows this car can be dressed up or down like a nice pair of loafers – it adds a touch of class and elegance to the entry-level Bimmer. 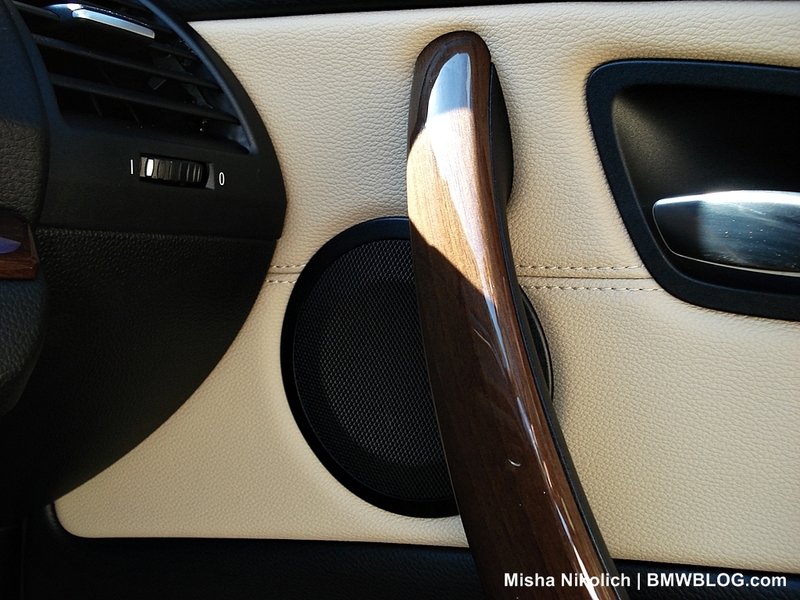 Fit and finish is top notch and materials are high quality as you would expect from BMW. All the controls are uncluttered, and easy to understand and reach. The iDrive navigation system is easy to learn and has bright crisp image quality. It’s situated higher up on the dash, close to the windshield, helping keep your eyes on the road. The snap-in cupholder has come in handy and holds nicely the stainless steel BMW coffee thermos the dealer gave me as a gift. That may also be because my rather mundane 7 mile drive to and from work in dress shoes isn’t the best way to utilize a sporty BMW coupe. I decided a good way to break in my new car was to join about 30 or so other BMW enthusiasts and take a drive on the Diamondback Route – a curvy mountain road which cuts through the Pisgah National Forest in Western North Carolina. The car handled beautifully and had no problem keeping up with the group of E36, E46, and E90/2/3 M3s. I recently picked up a few things for the house from local IKEA. The 60/40 split rear seat fold down giving you access to the trunk for more cargo room. I was able to easily fit in a table lamp and desk packaged in a small flat box. So not only is the 1er Coupe fun, it’s practical…for a coupe. I can take a couple golf bags in the trunk when my friend and I head to the links on Saturday mornings. Try doing that in a Porsche Cayman. (Note: I learned the Cayman has ample cargo space (front and rear trunk) for a sports coupe.What I meant to say was the Cayman doesn’t have fold down rear seats so I wouldn’t have been able to transport the flat box.) On Easter weekend, my wife and I packed our weekend luggage and beach gear and took a 4-hour road trip to Hilton Head Island, South Carolina. I drove 3 hours straight without feeling agitated or tired. It was my first time using the navigation system which was spot on with the guidance. I had a chance to play with the menus and learned you can have the directions listed similar to Google Maps – it even adjusts the miles as you progress on the trip. Final thoughts – this car puts a smile on my face every time I get in. The 135i Coupe was made for people who love to drive. I don’t see myself growing tired it anytime soon. Unless Horatiu hands me the keys to his Valencia Orange 1M Coupe this summer.